There are all types of insurance that individuals may need to buy throughout their lives. One of these for many is home insurance. Which means because there is a need there are plenty of insurance companies ready to be of service. One of these is Costco. 1 What is Costco Home Insurance? 2 Does Costco Canada Offer Home Insurance? 3 How Does Costco Provide Home Insurance? 4 What is an Insurance Broker? 6 What Does the Costco Home Insurance Provide? 7 What Are the Advantages of Costco Home Insurance? 8 Who Can Buy the Costco Home Insurance? What is Costco Home Insurance? As the name implies, Costco is home insurance. It is one of a few different types of insurance that this mega warehouse outlet has to offer. There are a lot of people that shop here. To do so, they must buy a membership. Their membership allows them to take advantage of the many different services. That Costco offers. What many people do not realize is that the Company does offer this type of insurance to their members. Does Costco Canada Offer Home Insurance? Costco is not just restricted to Canada. 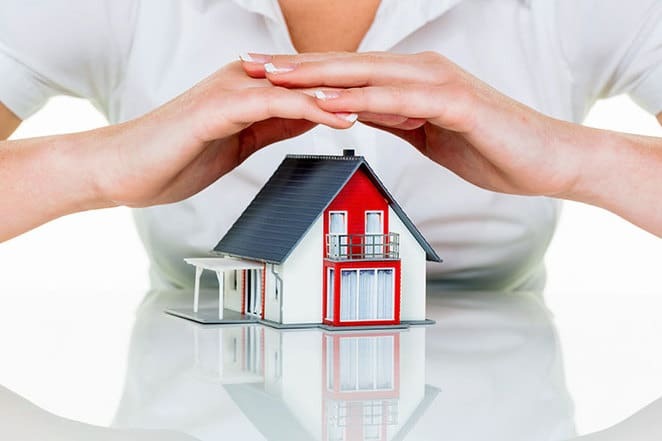 Often when people hear about the home insurance, they may think that it is not applicable to Canada. This is not the case. Costco Canada members can take advantage of this offer. But as it applies to the Costco home insurance for Canada. How Does Costco Provide Home Insurance? Some that are looking into home insurance discover Costco offers it. But, they may form the wrong impression. Some think that this company has formed its own insurance company. This is not true. Costco works through an insurance broker called Inova. An insurance broker is a business that is licensed to be able to sell insurance products. They do not produce the insurance products themselves. But deal with a variety of insurance companies that do. Costco has an insurance broker called Inova. There is a difference between Inova and other insurance brokers. It is that this company only services the Costco members. For their insurance needs. Like other insurance brokers, Inova has chosen a group of insurance providers. Ones that they are going to deal with. Being as they offer different types of insurance, they deal with different types of insurance providers. For home insurance, they have chosen a collection of companies to work with. Ones that are willing to prepare provide insurance policies for this need. When a Costco member wants home insurance, they will get directed to Inova. Inova will then shop among their affiliates. To determine who is going to give the best rate for this particular client. Like every other type of insurance, it is a personalized product. Meaning each insurance shopper for home insurance will have a different need that has to be met. What Does the Costco Home Insurance Provide? You will need to find out what Costco Home Insurance provides. To do this, you will need to put a quote in on the broker firm site they use which is Inova. Or if you inquire about it at the store, then you will be given the Inova telephone number to contact. There may be another way of finding out a bit more of what they have to offer for home insurance. It is to perhaps look at some of the affiliate insurance companies that they deal with. This may be deceiving. It may be that these insurance companies offer more options. Then what are available through Inova. So one can only get the information as it pertains to them by dealing directly with Inova. This way of selling insurance may be a good and bad thing. Dealing directly with Inova to get the details allows the representative to focus on your insurance needs. Instead of trying to convince you to buy their insurance through general marketing tactics. The bad thing is that you may be wasting your time if you are shopping around for your insurance. Although as a savvy insurance shopper you should ask more questions. Of the insurance company. That you are getting quotes from anyway. What Are the Advantages of Costco Home Insurance? It is difficult to determine the advantages. Without knowing exactly what your options are for buying Costco home insurance. You know the advantages you have by being a Costco shopper. Most likely these will be parallel with their insurance offerings. Costco is known for offering excellent prices on many of the products they sell. They work hard at making arrangements with various brands to be able to do this. One would assume that they have done the same with their home insurance products. They have been able to make a deal through Inova. To buy insurance at prices that are comparable. Or better than what is available through other companies. It is likely the insurance companies partnering up with Inova realize this. Knowing the large client base that Costco has. The insurance companies want to capitalize on this volume. So they are probably prepared to offer a lot better pricing on policies. Who Can Buy the Costco Home Insurance? To be able to buy anything from Costco or use any of their services one has to buy a yearly membership. There are different levels of memberships that come with different perks. The one, an individual, buys should be one that applies their specific needs. What is not said when it comes to the insurance products is whether one loses their coverage. If they cease to remain a Costco member. This is something that should get asked of Inova when one is checking them out. No matter what insurance an individual needs they should not rush into buying it. Most types of insurance can be expensive. But, there are ways to reduce the costs. This is what is important to learn for the insurance shopper.